We do Rooms, Hallways, Porches, rails, and more. We have four years Of experience and are very reliable, honest, hard working and can follow instructions. We Work great under pressure and can get the job done for a short deadline. We do nice clean work! No job is too big or too small. Customers are required to provide any materials that the job may require!!! If you would like to contact me CALL 201-737-... OR EMAIL me ...@gmail.com. 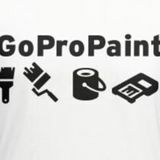 Owner of Paintvana LLC, just starting my business out, but have more then 5 years of experience.